As a child I was fortunate to grow up with animals. Thanks to my uncle, who ran a horse sales business, I caught “horse fever” early on. Learning from these animals was the school of my life. The fascination with these four-legged friends has remained with me ever since. 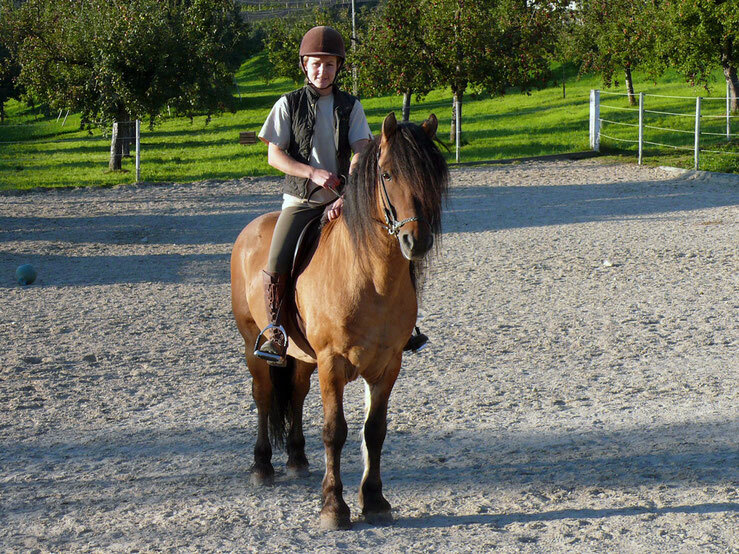 After completing training as a goldsmith at „Goldschmied Lohri“ in Zug and several years of professional experience, I devoted myself to horses again. After achieving my cattle trade patent I was allowed to purchase horses and ponies in order to pair them to matching buyers. With the horse sales business, a small riding school and the part-time position at a security service, I was never bored. Soon, the idea of mare's milk production formed and my interest in agriculture grew. Without wasting any time, I decided to undergo agricultural training to realize my plan.